Pokemon Sun and Moon is so full of content, there’s no time to explain every tiny detail and useful feature. There’ so much to do and uncover on the Alolan Isles, the Pokemon Trainers of Gameranx decided to pool our collective mental resources and share a list of 20 awesome secret tips and tips. These aren’t your normal tips — no, we’re focusing on only the most obscure and strange hidden stuff that Sun and Moon purposefully doesn’t tell you. From Island Scanning, to altered animations, to petting surprises, the list of special little secrets is improbably long. There’s plenty more to discover all on your own out there and we’ll expand this list as more cool features are unraveled. This list is all about finding those hidden features most normal players won’t know about in Pokemon Sun and Moon. The entries below are in no particular order. So without further delay, let’s get into Gameranx’s semi-official list of secret tips and tricks. This first hidden feature won’t help anyone, but it is supremely charming. Spin your trainer avatar in a circle and they’ll perform an adorable spin, striking a pose as they slide to a stop. It won’t make life easier on the many routes of Alola, but its so cute we couldn’t skip including this feature in our list. The Rotom Pokedex is super useful no matter which way you look at it, and when the Rotom face is taking up the lower screen on your 3DS, you’re only one tap away from opening the Pokedex. Just tap the black space between Rotom’s friendly eyes to instantly open your most useful of Pokemon-indexing tools. This is for advanced players only, but if you want to see the (normally hidden) EV stats for your Pokemon, there is a way. It just requires pressing a button! To check EVs, open the [Pokemon] menu, and choose [Summary] for the Pokemon you want to check. In the Summary screen, press [Y] to see your EVs. EVs are increased on a per-battle basis, and if you want to max-out those values, you’ll want to acquire awesomely-useful Power Items. Equip a Pokemon with the right Power Item and keep a single battle going with S.O.S. Pokemon to easily farm for high EV. After pressing [X] to open the menu, you’ll find two pages of icons. From this menu, you can select the Pokedex, Pokemon, Bag, Save, Trainer Passport, Options, and more. You can actually rearrange these icons in whatever order you want. To move menu icons, tap and hold one of the icons until it ‘pops up’ — now you can place it into any of the slots, including the second menu. You can customize the menu so only your most used menu icons are at the top, or those icons you don’t need can be shuttled off to the (almost) empty second menu page. Increasing friendship doesn’t just make your Pokemon better fighters, it also changes almost every battle animation for your trainer avatar. 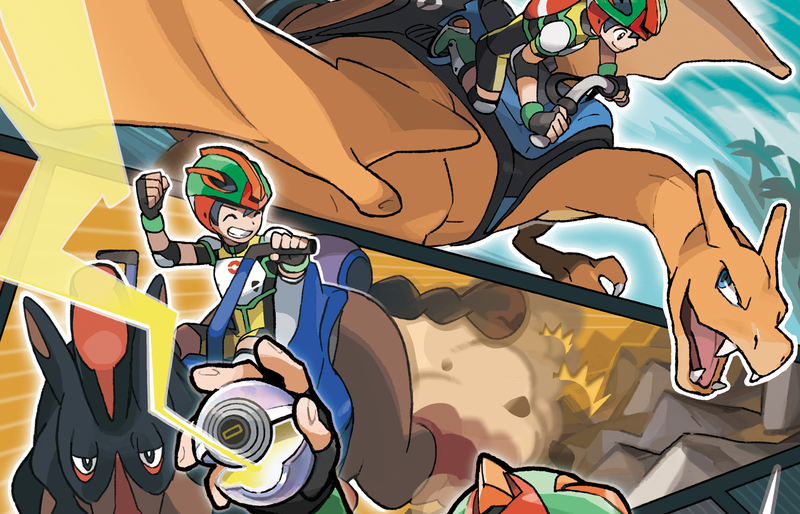 A Trainer with a strong connection to a particular Pokemon will cheer mid-battle. Animations are altered when swapping Pokemon, throwing them into combat, after watching a super-effective move, and lots more. These are the tiny details that make Pokemon Sun / Moon special. 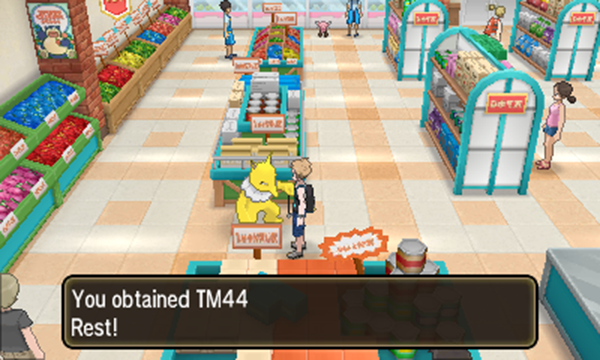 This might seem obvious, but giving Pokemon TMs is actually the BEST way to raise happiness. All you have to do is grab two TMs and constantly train your Pokemon in two alternating moves. 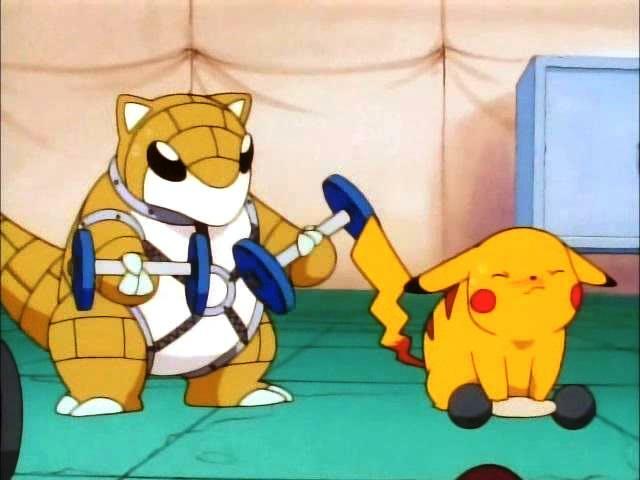 It doesn’t matter what moves you use, just that you’re constantly teaching your Pokemon. Using TMs in this (kinda cheat-y) way is by far the fastest way to increase happiness in a Pokemon. If you’re more interested in spending quality time, you can always take Pokemon out for a Lomi-lomi massage, or just give them lots of attention. If you’ve been raising happiness in the more traditional way, you’ve probably pet your Pokemon. 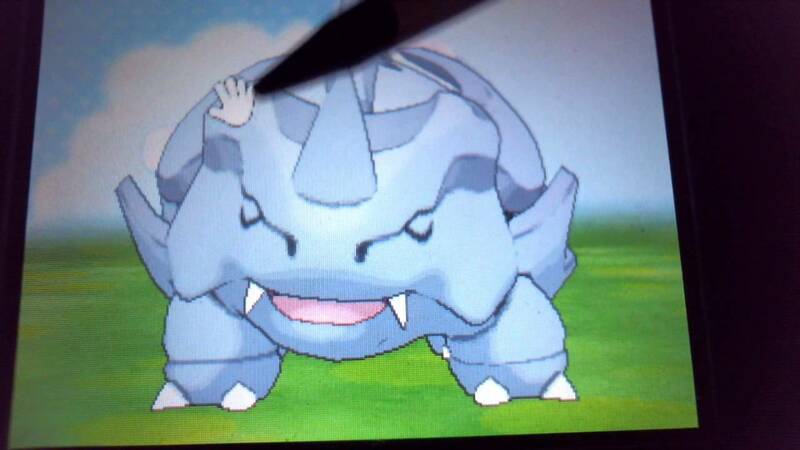 Not only do Pokemon react in different ways, the way your hand interacts with Pokemon is often very different. Try petting a Pokemon that’s on fire — for maximum fun, give Grimer some pets. Your palm will get stuck in the slime! Go through your whole roster to see all the fun details the developers have thrown into such a small feature. Pokemon are your pals, and we’re not always ready to see them change. 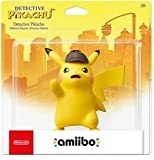 Whether you’re looking to keep a living Pokedex, or just don’t want your Pichu turning into a Pikachu, there is another way to stop evolutions. Hold down the [B] button during an evolution animation to stop the evolution. The evolution will attemp again after the next level-up, and if all other requirements are met. Yup, no more Everstones required. Now your Rockruff can stay super-cute forever. The most useful daily event in Pokemon Sun / Moon is the Island Scan ability. To use it, you’ll need to scan 10 QR Codes and gather up 100 QR Points. You get 10 points per scan. After gathering up those points, you’ll get to scan one of the four islands for a rare Pokemon — and there is a different Pokemon available every day of the week. These are all super-rare Pokemon you won’t find anywhere else. QR Codes aren’t just for getting points either, once a code is scanned, you’ll gain an entry in the Pokedex. That’s important for a whole new reason. All Pokemon with Pokedex entries (and that includes every Pokemon you’ve scanned with a QR Code) can be located in the Alola Region. To find a Pokemon’s Habitat, select the Pokemon in your Pokedex and press [A] — scroll through the four islands with [X] to see which area your selected Pokemon lives. Using QR Codes shared by friends (or found online) can make is much easier to capture the Pokemon you want. Just scan the QR Code and look up the habitat to easily track down all the Pokemon available in Alola. The Thrifty Megamart on Royal Avenue on Akala Island is a huge big-box shop with everything you’ll ever need, and the coupons are amazing too. With the coupon, you’ll get one free Premier Ball for every 10 Poke Balls you purchase. To get unlimited Premier Balls, by 10 Poke Balls and get your free Premier Ball, then sell the Poke Balls back. Premier Balls are worth it, and if you’re strapped for cash or just want all the Premier Balls you could ever ask for, the Thrifty Megamart is the place to visit. After defeating the Island Kahuna, the Trial Captains will leave their designated areas and return home for some well-earned rest. Well, you can interact their relaxation by giving each Trial Captain a visit. Going to a Trial Captain’s home allows you to battle them again, and there are some pretty amazing rewards up for grabs. First of all, the Poke Ball Throw Style tutor will offer you new Poke-Throws for each Trial Captain you’ve defeated in a rebattle. 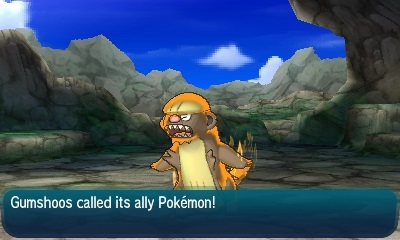 You’ll also get rare items or TMs — Ilima gives his False Swipe TM after defeating him a second time. There’s a 1% chance Bagon will spawn on Melemele Island, but you’ll have to visit the right patch of tall grass to find this supremely rare Pseudo-Legendary. Where to Find Bagon: Go to the patch of grass down the hill from the bridge at the north end of Route 3. Go south from the bridge and enter the tall grass to the right of the path, where the daily berry tree grows. Not only does Bagon spawn in this grass, but there’s a 1% chance Bagon will summon Salamence for help when it uses an S.O.S. call. Those are some slim chances, but catching a Bagon (or even a Salamence!) that early in your adventure at least gives you some bragging rights. One of the most frustrating evolutions for Pokemon Sun / Moon is Salandit. 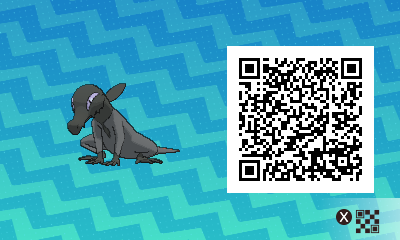 This awesome salamander only evolves if it is female, and female Salandit are pretty rare — they only have a 10% chance of spawning in areas where Salandit habitate. Salandit evolves into Salazzle at level 33. Just make sure you only catch a female Salandit. Speaking of more Pokemon, if you’re interested in breeding and don’t have enough females in your Pokedex, Ditto is the perfect solution. All Pokemon are compatible to breed with Ditto, and genderless Pokemon can only breed with Ditto. Basically, Ditto is your all-around breeding solution in Pokemon Sun / Moon. To get yourself a Ditto, try searching around Mount Hokulani — that’s where players are reporting Ditto appears. 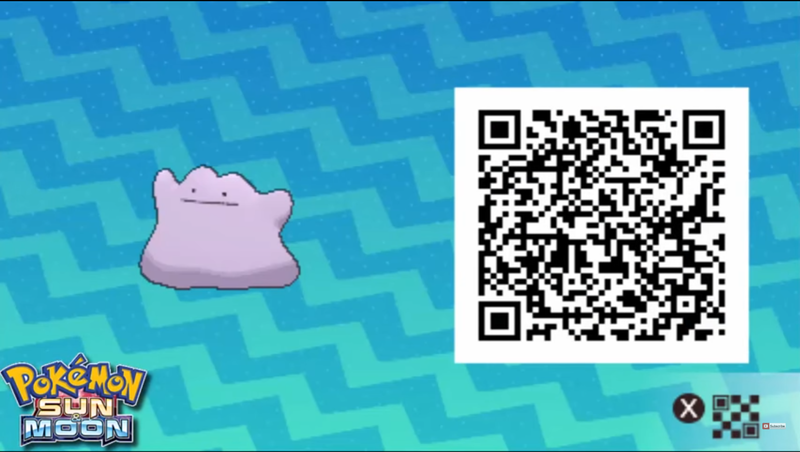 For extra help, try scanning the Ditto QR Code and checking its habitat. That’ll make tracking Ditto down a little easier. If you’ve found the Seafolk Village (all the way on Poni Island) than you’re sitting on an easy payday. The Pokemon Trainer near the cafe (inside the Pokemon Center) has something special for you. The trainer has a Shiny Exxeggcute and spawns after you’ve become Champion of the region. You’ll get six Gold Nuggets for beating him. Not a bad prize, right? Speaking of Pokemon Center, there is a bug currently that can wipe your in-game progress if you save in a Pokemon Center. You can save anywhere using the menu, so just remember to avoid saving in Pokemon Centers for now. We’re sure a patch will fix this issue in the near future. Those Poke Beans you can get daily from the Pokemon Center Cafe aren’t just for feeding your Pokemon. They’re actually much, much more valuable than that. Poke Beans are the currency you’ll need to upgrade the islands of Poke Pelago. Save your beans, because beans can only be found on Isle Abeens in the Poke Pelago. That’s what you should invest what beans you have into the first island — get more beans faster, and you’ll upgrade the Poke Pelago even more efficiently. Some players are reporting they can earn 300+ Poke Beans by shaking the tree on Isle Abeens. Just keep shaking that thing the first time you arrive on the island and it might not stop producing beans. Normally, there is a daily limit to how many beans you can earn. The new S.O.S. mechanic isn’t just a way to make wild Pokemon battles tougher — it also makes those wild Pokemon spawn with higher EVs (or Base Stats) — an invisible rating you can check in the Pokemon Summary pages by pressing [Y]. What do all those weird words mean? For the basic player, it’s almost always a better idea to catch an S.O.S. (summoned backup) Pokemon than the original one you encounter. There are actually mulptiple reasons why S.O.S. Pokemon can be better. S.O.S. Pokemon will often have Higher EVs. S.O.S. Pokemon will sometimes appear with Hidden Moves. S.O.S. Pokemon will rarely be SHINY. Not only do S.O.S. Pokemon usually have higher Base Stats, they’ll sometimes start with special moves, and about 1% of the time, you’ll find a Shiny Variant instead. Stock up on those Adrenaline Orbs if you want to get more S.O.S. Pokemon to appear — they’re available to buy at any Pokemon Center. Festival Plaza can be a confusing place your first time there. Despite the interface, you can totally still trade with other players online. If you’re looking for easy FP (Festival Plaza Points) — you can talk to guests you’ve traded with for an FP reward. To find trainers invited into Festival Plaza after trading Pokemon, go to the Castle and stand near the table on the right. Guests that arrive after a Wondertrade will always spawn right there. Just talk to them to get your free FP. If you’re curious, you’ll always get FP when talking to guests with red text over their names. Festival Plaza is all about sharing, and if you want to share facilities with friends, you just need to do some rearranging. 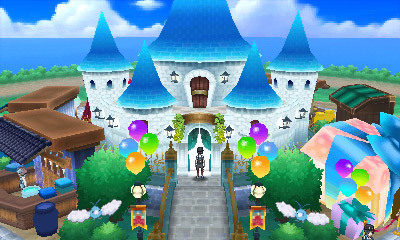 Talk to the Construction Manager in your Festival Plaza Castle to rearrange facilities. If you want to offer facilities to other players, set a specific facility to the first position on the Construction Manager’s list. Whatever facility is at the top of your list will always be the facility you offer friendly players when your avatar visits. If you’re feeling generous, this is a good way to share what cool stuff you’ve got. That’s just a small sample of all the weird and wonderful stuff hidden in Pokemon Sun and Moon. Have your own secrets you’ve discovered? Let us know in the comments! We’re looking to expand this list, and any suggestions are worth considering.